You won’t want to miss the display of floating horsepower in Portland Harbor this month. Harness racing isn’t just a way to gamble in Maine. It’s also a way of life. How Maine lobster gets there from here. 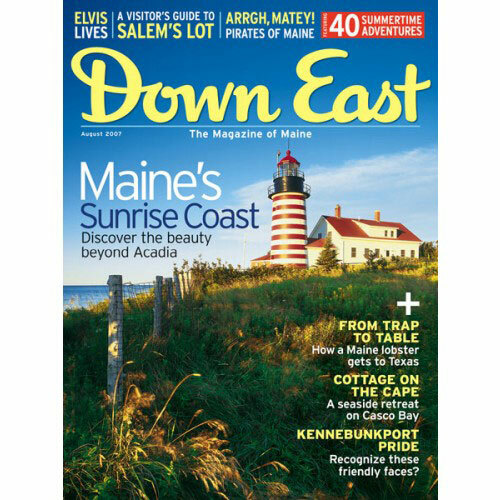 You won’t find this town in any Maine guidebook, but it’s just the sort of place tourists are dying to visit. With apologies to the King of Horror. Did the great Caribbean pirate Sam Bellamy build a base in Machias, or was it a case of mistaken identity? You can read the story of a Maine town in the faces of its people. 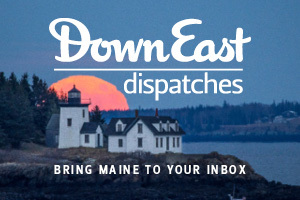 How well do you know Maine?  Take this quiz – excerpted from the new Down East book Guess Where from the Air by Chuck Feil and Murad Sayen – and see. 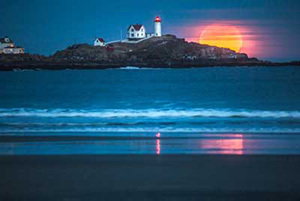 A grand summer retreat offers views of not one but three lighthouses. LURC is desperately in need of a new plan. America’s most famous aviator wasn’t afraid to get wet during one of his frequent visits to Maine.